Phillip W. Duff, President and Chief Executive Officer of Lighthouse Consulting, is pleased to announce the appointment of Karl Graham as Vice President of Caribbean Operations. Mr. Graham has a long history of Call Center success in the United States and the Caribbean having worked in executive positions for major US Fortune 500 companies and also working in Jamaica for the last 10 years as Vice President to the Caribbean’s largest call center. Lighthouse Consulting would like to announce the opening of its new International offices in Jamaica, West Indies. In an effort to meet its client’s needs, Lighthouse has opened offices that will handle all Caribbean operations and allow Lighthouse to better serve its International clients. Business offices in both Kingston and Montego Bay, Jamaica have been recently opened. Lighthouse Consulting is helping International companies to reduce labor rates and increase levels liquidation. The initial interest has been from ARM companies, debt buyers and creditors but Lighthouse Consulting is also servicing first party clients. 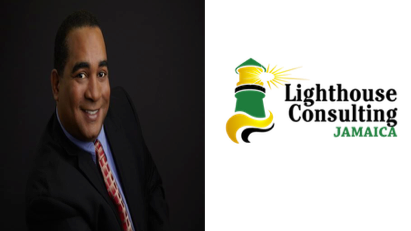 Lighthouse Consulting provides near shore consulting and seat management for its clients looking for reduced labor costs. By managing the island labor as a value added service for its clients the ROI stays high and the clients stay satisfied. As profits get squeezed in the US near shore labor becomes a better option for many businesses but managing the process is a learning curve straightened by Lighthouse Consulting and it’s near shore operations.